Chelsea legend Tommy Langley has reacted to continuous deployment of Eden Hazard in the Centre-forward role. 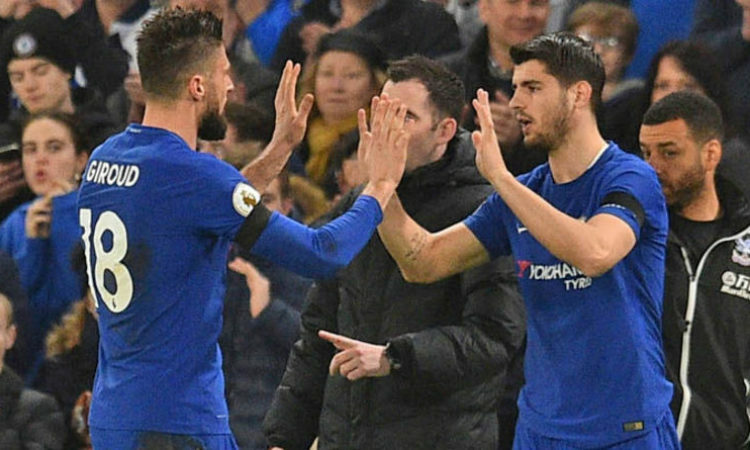 Maurizio Sarri decided to field Olivier Giroud in the target man role with Alvaro Morata making the bench when Chelsea played Crystal Palace at Selhurst park on Sunday, putting to an end his deployment of Eden Hazard in the role which has lasted for four consecutive games. According to Tommy Langley, Sarri seems to have little or no trust in both target men. However, reports have it that the two forward have not done enough to convince the manager of their credentials with bare six goals between them in the current season, and this is fewer than Southampton’s Dany Ings, who has scored seven times. Chelsea have reportedly considered bringing in AC Milan’s Gonzalo Higuain when the January window opens and Langley, who has been monitoring the situation of things believes that Sarri has given his strikers a vote of no confidence. “We’ve been linked with Higuain, whether that is right or wrong, or just paper talk [I don’t know]”, Langley said on Chelsea TV following the win. Chelsea striker Olivier sustain injury in Chelsea’s 1-0 triumph at Selhurst Park on Sunday and will be out for a while, and this provides opportunity for Alvaro Morata to convince Sarri of his credentials.